Started in 2001, Lexx Communications can deliver the right people and resources needed to implement, manage and maintain your organizations technology needs. 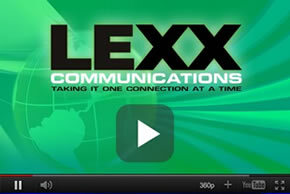 Lexx Communications provides cost effective technical support to businesses located in the New York, New Jersey and Connecticut areas. Lexx Communications has strategic partnerships with local, and national distributors of CCTV products that carry products from all manufacturers of security systems on the planet. We service both commercial and residential. Lexx Communications can purchase install and maintain your organizations systems with the latest version of Microsoft Windows Server software, Microsoft Exchange Email Server, Microsoft SQL Server software, Microsoft Virtual Server, Citrix Presentation Server 4.0, and Blackberry Enterprise Server. Applications and supporting hardware are constantly evolving. Lexx Communications can upgrade or repair your network by obtaining and installing hardware and software updates. Lexx Communications can assist in selecting and installing the right high speed internet connection for your business (DSL, Cable, T1) Once the installation is completed our engineers can configure your Cisco router and firewall to protect your organization from internet based threats. We can also configure a Virtual Private Network (VPN) to provide secure remote access to your network for staff working from home and Branch Office employees. Don’t have the resources to manage your own email server or want to get rid of spam. Lexx Communications can provide you with a hosted email and/or spam filtering solution that does not require you to purchase any hardware of software. De-installation & Re-Installation of computers, servers, and network gear at the new location.